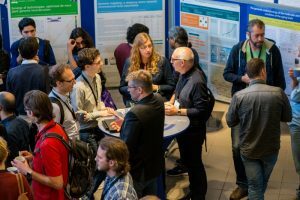 DTL/ELIXIR-NL and its partner the Netherlands eScience Center (NLeSC) are currently aligning the existing Dutch Software Carpentry (SWC) and Data Carpentry (DC) initiatives. SWC and DC are world-renowned organisations that teach researchers the computing skills they need to get more done in less time and with less pain. The Software Carpentry Foundation and its sister organisation Data Carpentry, are world-renowned for their efforts. They are teaching researchers in science, engineering, medicine and related disciplines the computing skills they need. In addition, they have built up a curriculum, to which people worldwide contribute and help improve. This curriculum is openly accessible on Github. Last but not least, they are building capacity worldwide, i.e., they train people to become certified instructors that can teach SWC/DC workshops. In the Netherlands, several organisations are very active in SWC/DC. Several DTL partners are home to certified trainers (e.g., NLeSC, Surfsara, Erasmus MC and UMC Utrecht). NLeSC (Mateusz Kuzak) and DTL Learning/ELIXIR-NL Training (Celia van Gelder) are currently joining forces to align the Dutch SWC/DC initiatives and to make sure they are aligned with the European ELIXIR SWC/DC activities. In 2015, UMC Utrecht (Philip Lijnzaad) hosted two SWC/DC events (a hackaton and a workshop) in the context of an ELIXIR Pilot. Furthermore, ELIXIR Training is currently exploring a partnership with the SWC/DC Foundation related to SWC/DC activities specific for the life sciences domain. If you are interested in SWC/DC activities in the Netherlands, please subscribe to the mailing list. Please contact Celia van Gelder if you want to become involved in the Dutch SWC/DC activities. We want to align training capacity in the Netherlands with the demand and therefore it’s important that we get input from all interested parties.